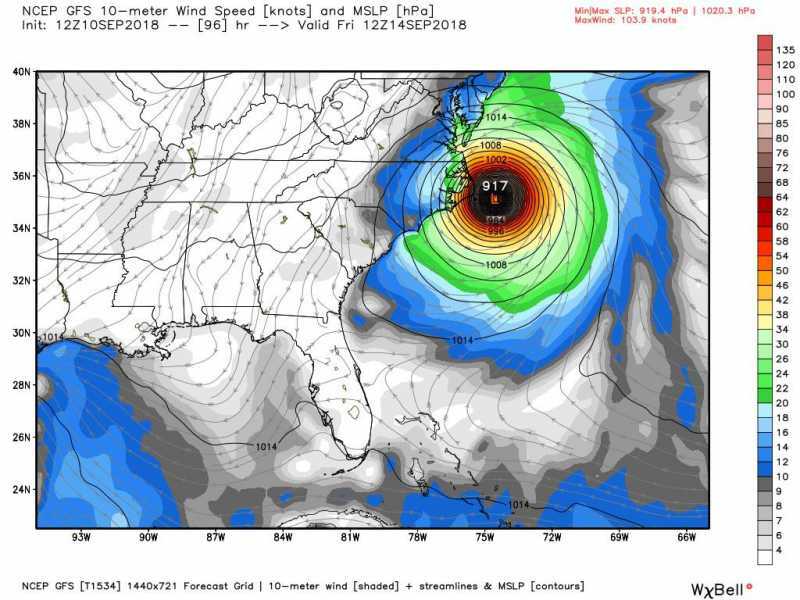 If you have friends or family on the east coast, please check in with them and be sure they are preparing for landfall of Hurricane Florence on Thursday-Friday. 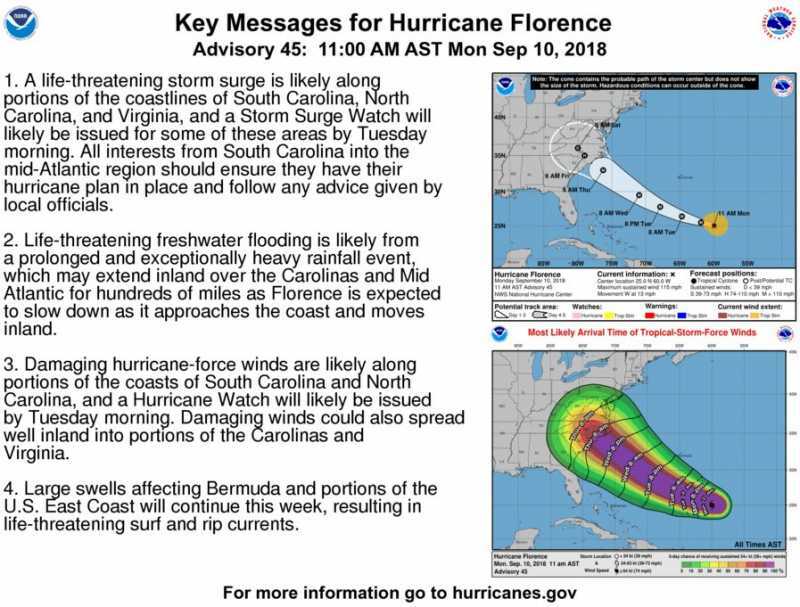 Link below for advice on prepping, and check for updates from the National Hurricane Center and local meteorologists. I wish I had better news for NC/SC. 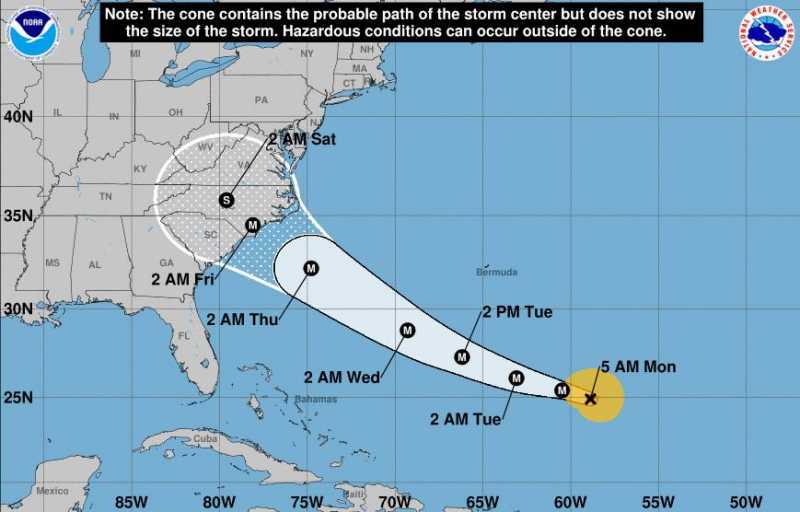 Here is the 5 a.m. map from the National Hurricane Center. 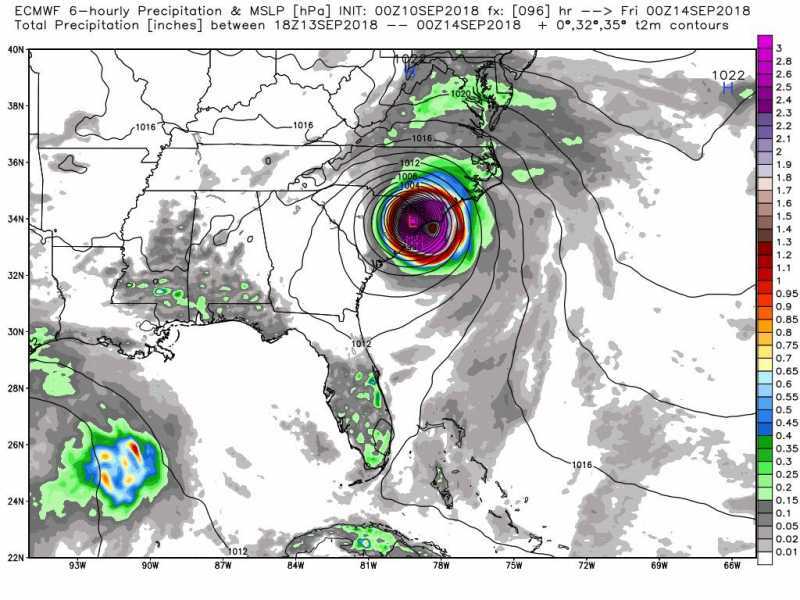 They are not seeing much of a change in the direction of Hurricane Florence. Sea surface temperatures are very warm along her projected path, so some intensification is expected, although SST is not the only factor. 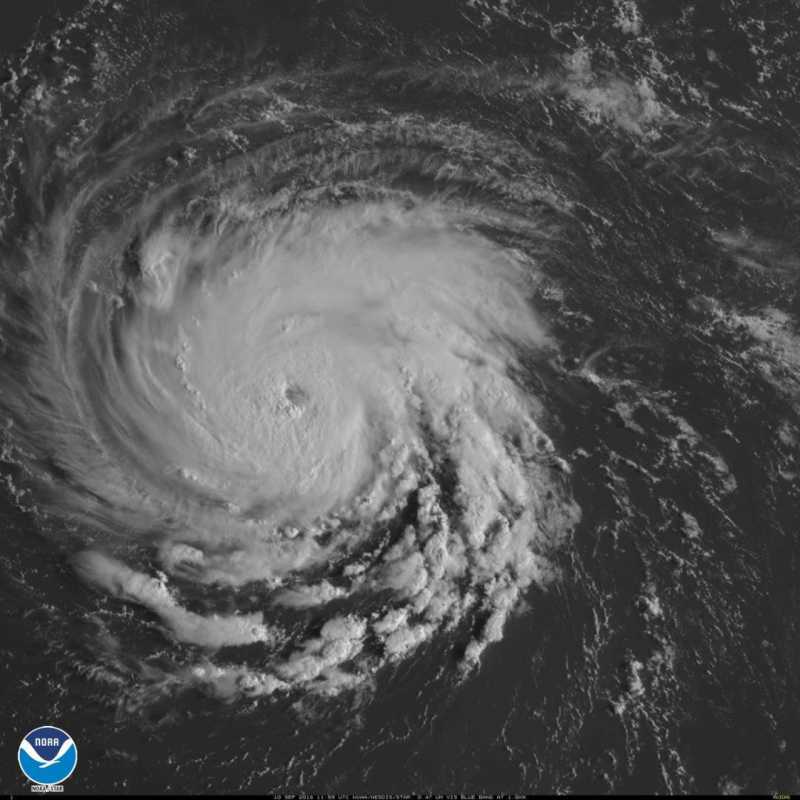 From National Hurricane Center: Hurricane Florence is now a CAT 4 with max winds of 135 mph. Here are two different models, showing slightly different solutions. EURO at 96 hours. Slightly different scenarios. Point of landfall is not as important as the overall regional impact this storm may have, Lots of rain, flash floods, etc. An amazing view of the storm via the ISS. 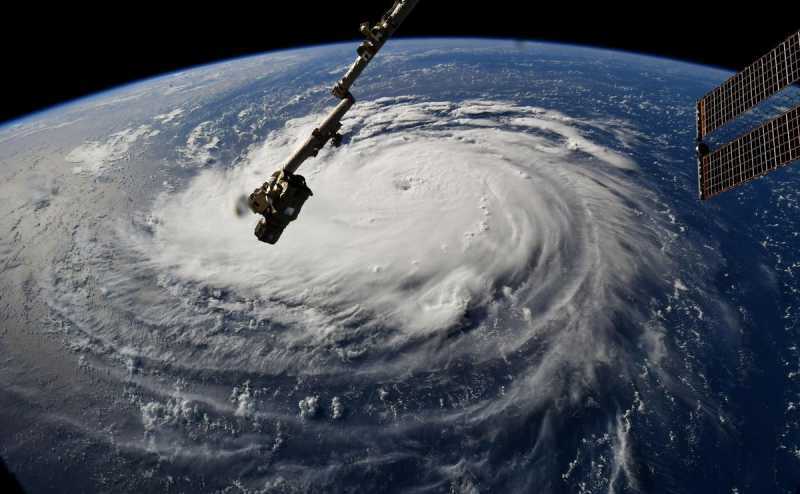 This is Hurricane Florence churning southeast of the United States. This storm looks like it will make a direct hit on the region, hopefully it will move quickly rather than sit and unload on the coast. The Houston hurricane was so bad last year because it did just sit right over the city for so long. Some areas might get 40 inches! Would be nice if Colorado got forty inches in one year!